The transparency standards for an NFL quarterback rising higher than for the Secretary of State surely speaks to the bread-and-circuses quality of 2015 America. We expect more from our gridiron heroes than from our nation’s leaders. 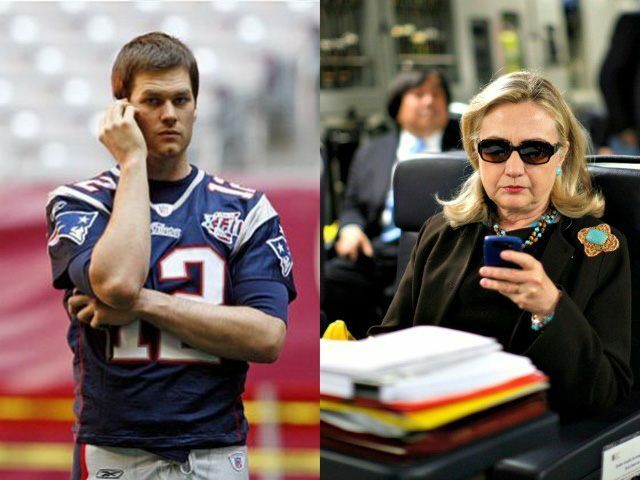 Perhaps the tizzy over Tom serves as a tacit admission that we also expect more responsiveness to public opinion from 345 Park Ave. than from 1600 Pennsylvania Ave.
No law decrees that a quarterback must turn over his texts and emails to the NFL the way that the Federal Records Act demands that the Secretary of State turn over correspondence to the government. Yet the failure of the four-time Super Bowl winner to share his iPhones, computers, and other gadgets and gizmos with NFL investigator Ted Wells sends the Fourth Estate into a frenzy. 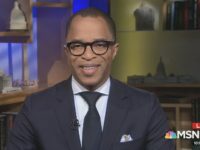 “If he had nothing to hide, then why not give Wells and his investigative team access to records that might help resolve the issue?” reacts a Newsday writer. “The fact that Brady would not surrender texts, phone records or emails suggests that there was plenty to hide.” If only Newsday’s reporters, op-ed writers, and editorial board applied the logic to the former Secretary of State. If Wells would use his investigative powers to attaint a low-pay, anonymous Pats employee, in what punitive ways would he have employed his findings to shame the NFL’s most famous player? Surely that’s a fear of Hillary Clinton. Just as it’s “more probable than not” that Ted Wells doesn’t have Tom Brady’s best interests in mind, it’s “more probable than not” that Trey Gowdy, or too many other Republicans for that matter, care too much for the presumptive Democratic nominee. 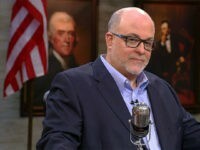 The difference here involves the distinction between private citizen and public official, of which the U.S. government, in its invasive searches of citizen emails but zealous protection of such correspondence from IRS officials and the Secretary of State, shows a bassackwards understanding. Public material shall remain private and private material shall be made public. If a private citizen doesn’t turn over his iPhone, he can’t play in the home opener. But if a public servant destroys thousands communiques during her tenure as leader of an old-line cabinet department, it acts as no disqualifier for presidential ambitions. Perhaps the citizenry’s impotence to hold government officials accountable results in a zeal to force details out of celebrities and jocks. A parallel exists between double standards for #12 and the woman who would be #45, on the one hand, and the public’s outrage over the NFL’s initial weak punishment of Ray Rice and the public’s muted response to the non-existent punishment meted out by the courts to the star running back. The state of New Jersey threw the pillow at Ray Rice after he threw a right at his fiancée. Strangely, public anger centered not on the dereliction of duty by the criminal justice system but in the failure of the commissioner of the NFL to behave as though he wears a black robe. America lacks control over its government. Taking out frustrations on the NFL appears not only as catharsis, but as a glaring form of displacement.